To grow, develop, mature, and to bring illumination to embrace higher morals as a human being is to educate yourself; but not in the manners of the world with teachers and lots of memory filled with book knowledge, but a conscious education which means to study yourself, to not just read but discover the secrets and messages occult, to leave your ego aside and learn for the only sake of your betterment–i.e., without competition, without any selfish desire to be above others. Your only task in conscious education is to liberate your trapped consciousness from the tyranny of your own ego/from the tyranny of all your opinions, knowledge, and beliefs. 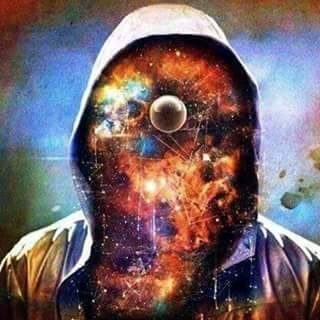 Consciousness is not just something of the mind, of your head; but consciousness is the collective unity/essence of the universe guiding your steps through your minds/through your conscious and subconscious. And the subconscious forces then may be hidden from plain sight, making you act in a manner unknown, damaging, or strange to you; but, however, these obscured forces are guiding you, there is a divine purpose for whatever happens–i.e., for the loss, for the mistake, for the disease, for the loneliness you feel now, etc. Your task is to make these subconscious forces conscious to you, slowly, through self-awareness, through studying your actions carefully, so you become filled with knowledge of self, love, understanding, wisdom, and light unto yourself and unto others. Vibrations are our very energy, our source either for happiness or misery, love or fear; and so, this must be revealed to the conscious in order for you to see it and become one with the higher planes of consciousness. It can be daunting, even not considered “normal.” But what really is normal…?? To follow and be like others?? Or to be uniquely you, know yourself, and raise yourself above your lower self/above your sanctimonious ego?? Previous Post The blindness of groups. Next Post Three to Divine Love.